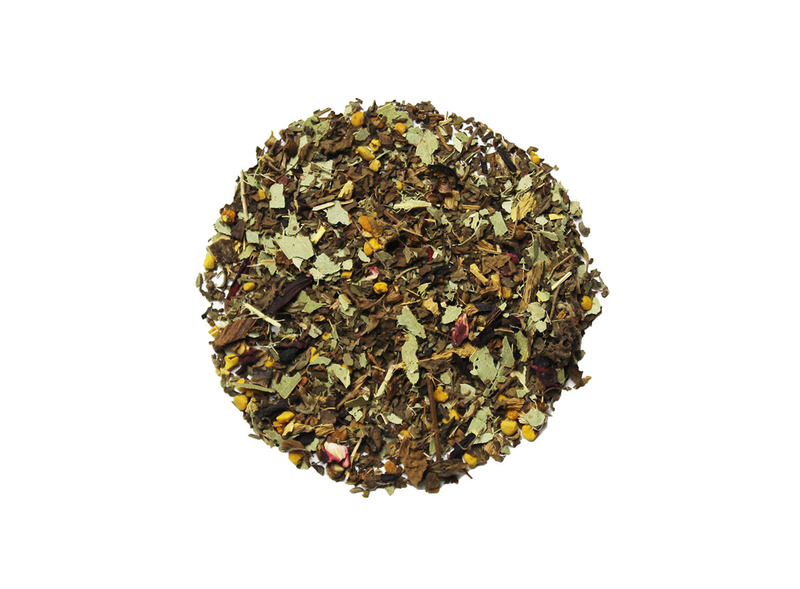 If you are the kind of person that dreads the spring allergy season then Spring’s Relief might just be the tea for you! But really, Spring’s Relief combines a host of common herbs to make a strong cup of tea that will help to sooth your throat and clear up your sinuses. The peppermint oils will do wonders for your breathing and the licorice root, hibiscus, eucalyptuses and tulsi will help boost your immune system. Spring Relief isn’t a cure for what ails you but it will help make the day just a bit easier. We’d recommend drinking this tea hot with maybe a touch extra organic honey. Ingredients: Licorice root, honey bee pollen, peppermint. hibiscus, eucalyptus, tulsi (holy basil).